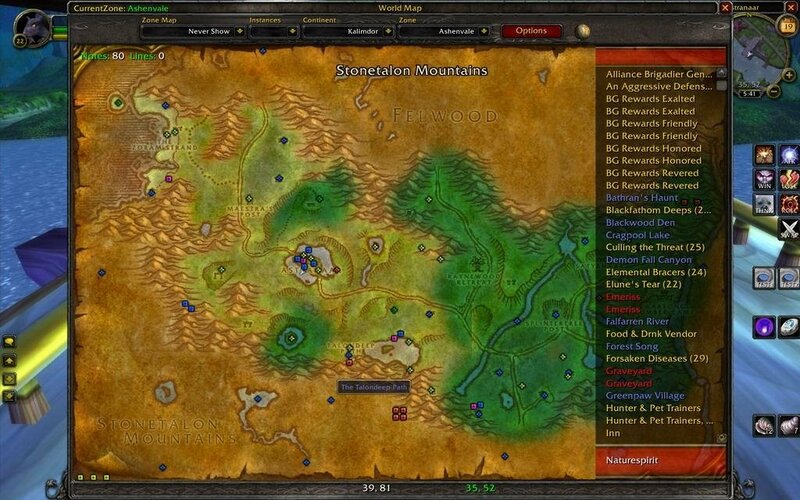 MetaMap adds features to the WoW world map, keeping all mapping type features in a single place. Allows full player movement, messaging, etc. with map open. User editable notes for all maps, including instance maps. NPC/Mob database collectable by mouseover or keypress. Toggling on/off display of unexplored areas of the map. Waypoint system to guide you to any set point. Complete Quest logger with optional history database. Tracker module for gathering Herbs/Ores etc. NoteBook module for additional notes, linked to Tooltips. Inbuilt Import and export facilities for various data formats. Inbuilt Backup and Restore facilities. Button on Minimap to open or close the World Map or display MetaMap options. Key bindings for various MetaMap functions. Full support for Titan Bar. MetaMapEXP - Map notes Export module. Allows you to save the map notes to SavedVariables\MetaMapEXP.LUA. Cannot choose "microdungeons" when you are not in them. Microdungeons are small zones within a zone. I.E. There is now a working map for the Caverns of Time. Extract ALL folders in the archive to the Interface\AddOns\ location. If you wish the Instance maps to be populated with default information, then on first installation you will need to select 'Extended Options' from the MetaMap menu. Select the 'Database' tab, then click 'Load Imports'. This will enable the default import button, 'Import Instance Notes'. Click on the 'Import' button to import the data. 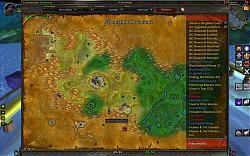 Some addons may reset the map to gather location data. If there is a map which is not showing because it is now built in if you zoom out, it will show correctly. There were some parameters in the internal map list which I was not sure what to change them to when I added the new Blizzard instance maps. So if you notice anything strange when showing instance maps please post in the comments. This version works on 5.0. It should be aware of all the new Mists of Pandaria map data. If you find any errors please post into the comments section. There is no method for converting all the old notes to the correct locations on the maps. You might want to clear all the notes and start over. Original MapNotes code by Sir.Bender. Original FullWorldMap code by Mozz. Original MetaMapBWP code by Noraj. *fix maps for Warspear, Stormshield and Gilneas. *fixes the entries in the dungeons menu for Gilneas. * Fixed name for UBRS (90) ZoneText is "Hall of Blackhand"
-- Override the default minimize button, to toggle between the MetaMap Save Sets. It will also remember the setting for quest objective toggles. So You can have one saveset larger with quests objectives and one smaller without. -- added support for the addon "Addon Control Panel"
-- added map support for "The Maelstrom"
-- Made the continent entries in the drop down selectable. -- Real fix for note highlight when you click the notelist. I found the bug that was preventing the highlight in the original metamap code. -- Added Map Window Level setting. values: 0,1,2 Defaults to 0, increase if buttons and and other windows appear on top of the map. Try value 1. value 2 may cause issues. -- Added the Sunwell and Magister's Terrace maps into the custom instance map lists. -- added WorldMapPOIFrame.allowBlobTooltip = false before any WorldMapTooltip:Hide and true before show so that tooltips would appear when the quest tracking was available. -- fixed instance dropdown ability to select new northrend dungeons. -- added mLevel to mapnotes to track which submap the note is on. -- Fixed MetaMap to show the new WOTLK built in instance maps. Every time I do the quest where you take a ram into ironforge, I get this error somewhere between 5 and 10 seconds after I've taken it. It pops up sometimes when I'm about at the end of the booths and turning left to get on the ramp, and about 1/3 of the way up the ramp. Leaving my addon list in. I don't tend to use most of the abilities of this addon - the note taking, storyline, etc, tho I do use all the tracking. ... from swatter about metamap, but I'm usually too busy doing something, and I don't take the time to report them. This time, it happened just as I logged in. Whenever I open a map in a dungeon. Message: Error: AddOn MetaMap attempted to call a forbidden function (RunBinding()) from a tainted execution path. but I'm posting it here because it blames Metamap. I have an addon called WoW-Pro installed - from their website, not curse, as that covers more. I had it disabled, and clicked on its minimap button to enable it. I got a frame from it with a header but no content. Left-clicking did nothing, right-clicking on it produced the following error. Note: I was not in combat, I was not in a group or raid. I had been, about 2 minutes previously, during which I had been in my garrison (and had initiated the group for the leather trader) and there were a couple of random hoppers in the group that may have been in combat, judging by the fact that their HP bar was moving around. Message: Note: AddOn MetaMap attempted to call a protected function (CompactRaidFrame3:SetAttribute()) during combat lockdown. Message: Note: AddOn MetaMap attempted to call a protected function (CompactRaidFrame1:SetAttribute()) during combat lockdown. Re: Re: Will this be updated for Legion? I don't see it updated for the prepatch. Mind you, lots of people are saying their map is broken, so I believe there's some major issue, but I'd love to see this updated. If it won't be, could you please mention that, so I know to move on? We are going to try to get it working on 7.0.3. We should have an update in a few days. Re: Will this be updated for Legion?